On Tuesday, 19 June 2018, the Hubble travelling exhibition Our Place in Space was launched in Vienna. The exhibition explores the question of how and where in the Universe we perceive ourselves and what our future should bring. What are we capable of? We have a long legacy of asking ourselves these questions in both the sciences and in the arts. 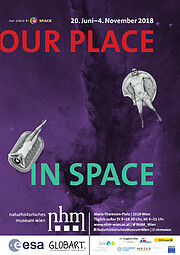 Now, using spectacular images from the NASA/ESA Hubble Space telescope and the work of austrian artists inspired by these images, the latest installation of Our Place in Space tries to answer these questions. 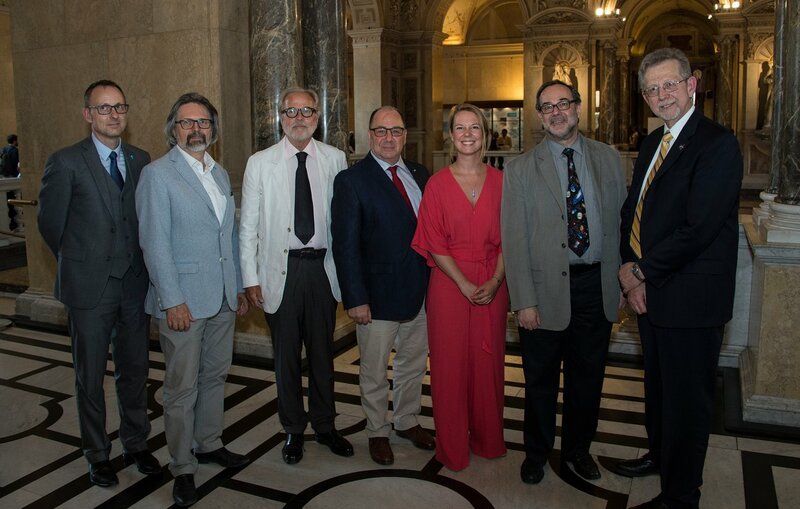 The opening ceremony, attended by 400 invited guests, began with an introduction by the director of the Natural History Museum Vienna, Prof. Dr. Christian Köberl, as well as by Hans Hoffer, President of GLOBART and the director of the University of Applied Arts, Dr. Gerald Bast. A talk about the Hubble Space Telescope was given by Lars Lindberg Christensen, head of the education and Public Outreach Department of the European Southern Observatory, which also promotes the Hubble Space Telescope in Europe. Dr. Ulrike Kuchner, an astronomer and artist who curated the exhibition in Vienna, gave an overview of the exhibition itself and how it came alife. Ingolf Schädler, head of the innovation department at the Ministry for Transport, Innovation and Technology, and Dr. James L. Green, chief scientist at NASA later officially opened the exhibition. After the talks, the exhibition could be visited by the guests and space architect Barbara Imhof and Prof. Chris Welch from the International Space University, Strasbourg, led a tour through the S.H.E.E. space habitat. The habitat is an addition to the art and images of Our Place in Space and will be on display in front of the Natural History Museum Vienna for the next week. 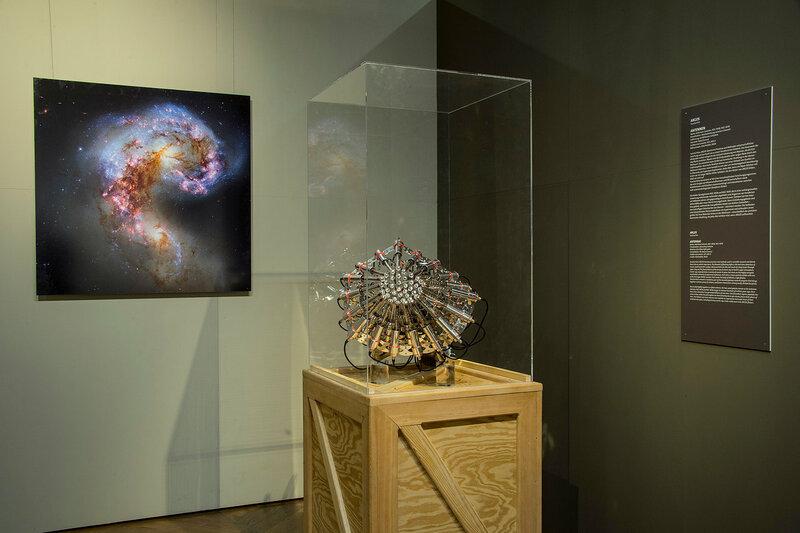 By seamlessly integrating the perspectives of artists and astronomers, Our Place in Space inspires visitors to think about how humanity fits into the grand scheme of the Universe. By connecting with the local art community, it showcases the impact that Hubble has had on culture and society. Our Place in Space is open to the public at the Natural History Museum Vienna Wednesday from 09:00-21:00 and from Thursday to Monday from 09:00-18:30. The exhibition is on display until 4 November 2018. The Austrian edition of Our Place in Space is coordinated by the Natural History Museum Vienna, the GLOBART Think Tank, the University for Applied Arts Vienna and ESA/Hubble, in partnership with the Space Telescope Science Institute. The costs for this exhibition are covered by sponsors as well as participating organisations. 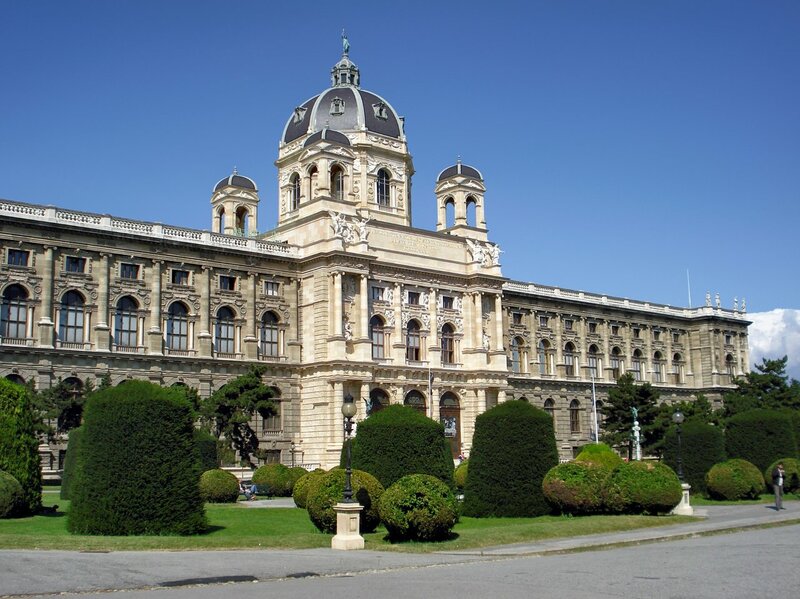 The sponsors include: The Natural History Museum Vienna, the European Space Agency, the University of Applied Arts Vienna, GLOBART, the Federal Ministry for Transport, Innovation and Technology, and Austrospace. The exhibition in Vienna is curated by Ulrike Kuchner and Antonella Nota. The contributing artists are Monica LoCascio, Michael Bachhofer, Margit Busch & Solmaz Fahang, Anna Lerchbaumer & Eleni Boutsika-Palles, Daniela Brill, Yunchul Kim, Markus Reisinger, Payer Gabriel, Steinbrenner/Dempf, and Nives Widauer. The exhibition executive committee consists of Ken Carpenter (NASA HST), Antonella Nota (ESA/STScI), Anna Caterina Bellati (Bellati Editore), Lars Lindberg Christensen (ESO & ESA/Hubble), Carol Christian (STScI), Roger Davies (University of Oxford, UK), Hussein Jirdeh (STScI), Mathias Jäger (ESA/Hubble) and Joel Green (STScI). The Vienna executive committee consists of Ulrike Kuchner (University of Vienna, University of Nottingham, GLOBART), Heidemarie Dobner (GLOBART), Fabian Rogatschnig (GLOBART), Christian Koeberl (Natural History Museum Vienna), Reinhard Golebiowski (Natural History Museum Vienna), Agnes Mair (Natural History Museum Vienna), Virgil Widrich (University of Applied Arts Vienna), Nemanja Popadic (University of Applied Arts Vienna), and Karl Salzmann (University of Applied Arts Vienna).